The theme of this year’s World Water Day on 22 March is “Water for All: Leaving No One Behind”. This is an adaptation of a central promise of the UN 2030 Agenda for Sustainable Development to ensure the availability and sustainable management of water for all by 2030. 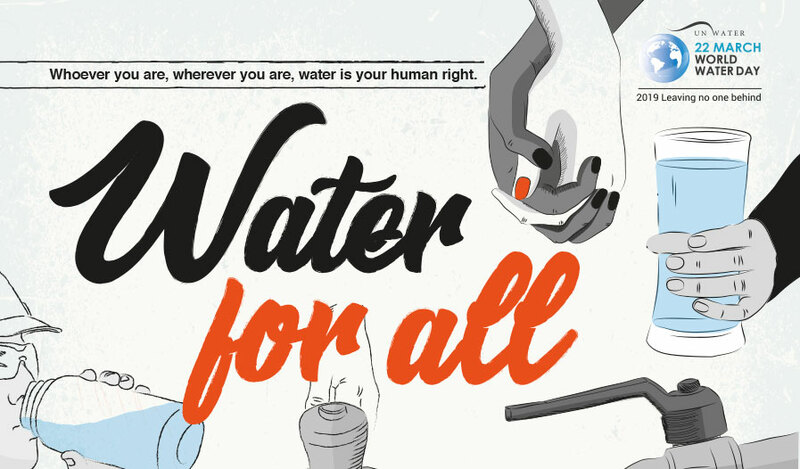 A basic human right to water ought entitle everyone without discrimination, to sufficient, safe, acceptable, physically accessible and affordable water for personal and domestic use. This ought include water for drinking, personal sanitation, washing of clothes, food preparation, and personal and household hygiene. However, we are aware that billions of people still live without a safe supply of water and securing water for survival is a major difficulty for many displaced people. On World Water Day 2019 we give thanks for the gift of water we enjoy each day. May we never take this for granted and may we be willing to advocate for the basic human right to safe water for each and all so that no one will be left behind.